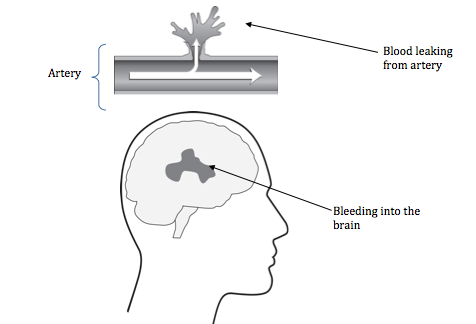 This type of stroke is caused by a blood clot or a blockage within an artery leading to the brain. This affects the blood flow to the brain. 1. Embolic stroke: It is a result of a blood clot that was formed somewhere other than the brain. The blood clot travels in the bloodstream until it becomes lodged in the smaller arteries leading to the brain. 2. Thrombotic stroke: This is a result of diseased or damaged arteries in the brain. The artery becomes blocked by the formation of a blood clot within the brain. This stroke is caused when an artery bursts in the brain allowing blood to leak inside the brain causing damage. 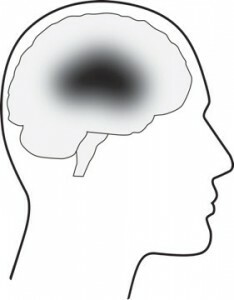 •	Intracerebral hemorrhage – When an artery in the brain breaks and the blood enters the brain. •	Subarachnoid hemorrhage – When a brain aneurysm ruptures, it causes bleeding into the compartment surrounding the brain, the subarachnoid space and is therefore also known as a subarachnoid hemorrhage. TIA is short for transient ischemic attack. It means a short term, lack of blood supply to the brain. TIAs usually last from 30 seconds up to 24 hours. TIAs are often referred to as ‘mini-strokes’ and are considered to be a serious sign of an increased risk of stroke. The signs of a TIA are the same as a stroke but are temporary.